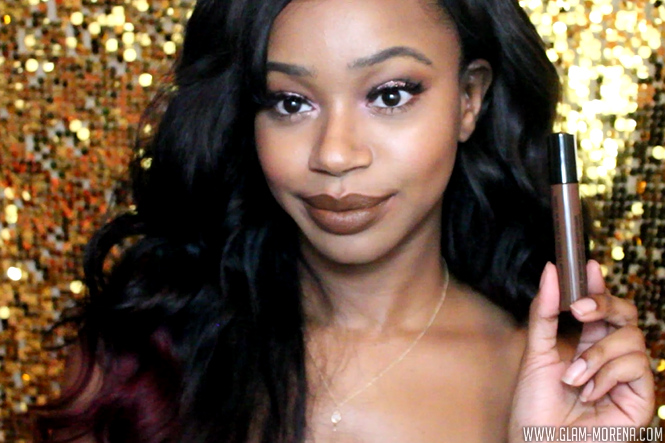 Glam Morena: NYX Liquid Suede Cream Lipsticks. I finally picked up a few NYX Liquid Suede Cream Lipsticks. I was initially hesitate about trying these since I read a lot of mixed reviews. A couple months ago NYX released 12 new shades, so this was the perfect time to give these a try. There are now a total of 24 shades available! That is a pretty impressive shade range, especially for a drugstore brand. 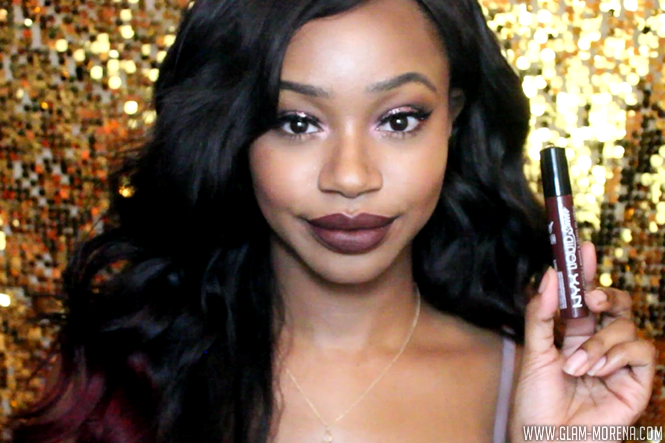 Are these the best liquid lipsticks I've ever tried? No, but they are one of the best drugstore liquid lipsticks available. NYX Liquid Suede Cream Lipstick in Soft Spoken, Brooklyn Thorn, Downtown Beauty, and Club Hopper. Here is a look at the NYX Liquid Suede applicator. 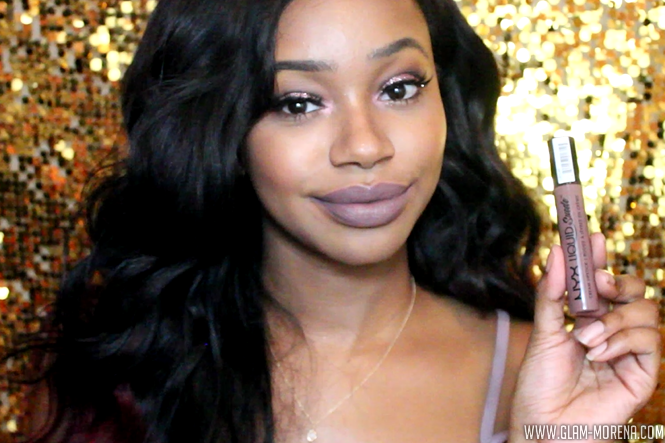 I love the wand applicator! 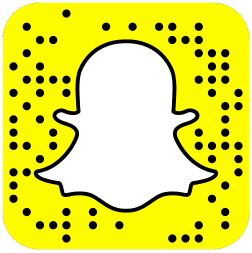 It makes for an easy and precise application of the product. 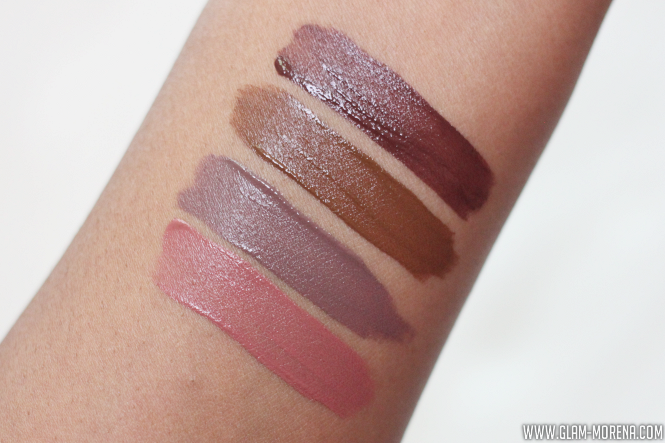 Next up are some swatches of the NYX Liquid Suede Cream Lipsticks. From bottom to top: Soft Spoken, Brooklyn Thorn, Downtown Beauty, and Club Hopper. 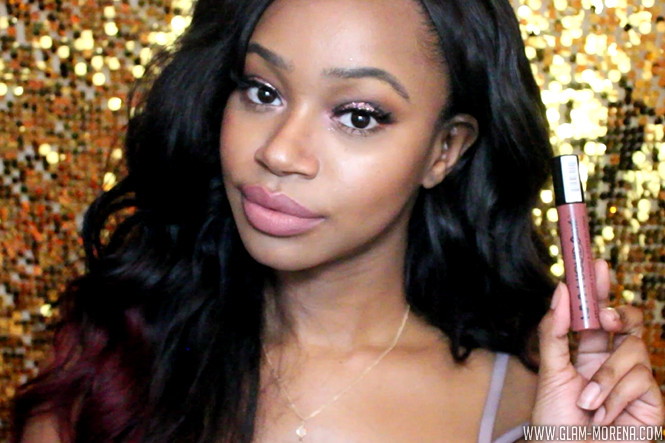 Be sure to watch the video to see live application and lip swatches of the product! Lip Swatch of the NYX Liquid Suede in Soft Spoken. 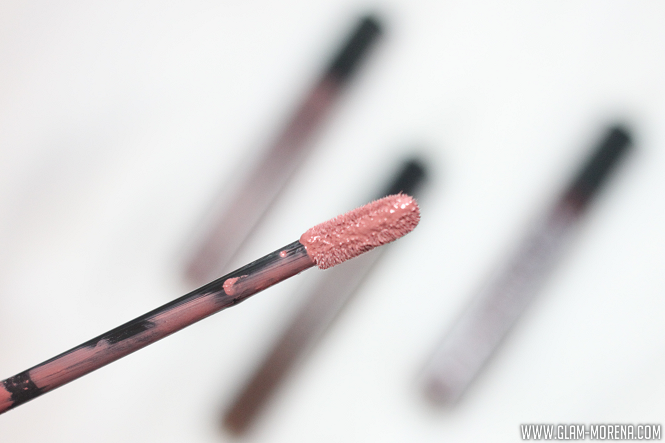 Lip Swatch of the NYX Liquid Suede in Brooklyn Thorn. Lip Swatch of the NYX Liquid Suede in Downtown Beauty. Lip Swatch of the NYX Liquid Suede in Club Hopper. 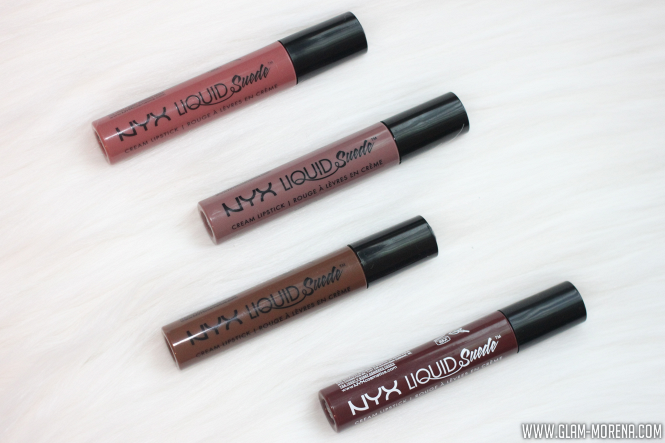 Have you tried the NYX Liquid Suede Cream Lipsticks? Thoughts? Favorite Shade(s)? I might need the two darkest ones! 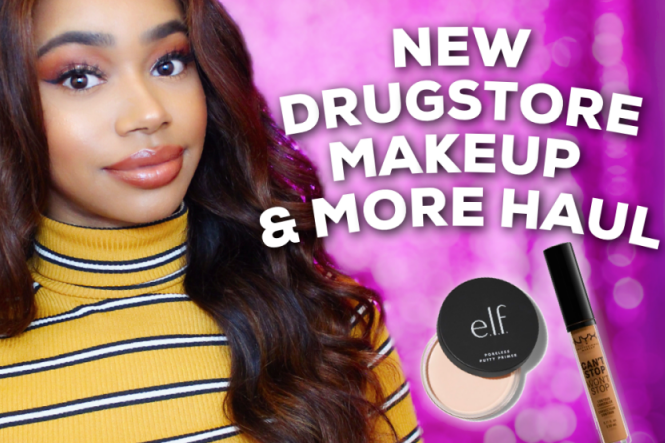 Club Hopper and Downtown Beauty look so awesome on you! I have Soft Spoken and Kitten Heels. Soft Spoken is nice, but you make Club Hopper and Downtown Beauty very tempting. Dang, how did Club Hopper just end up in my NYX cart?